This large, popular, 3 star hotel is located in the centre of Salou. Facilities include two outdoor swimming pools and a heated indoor pool. 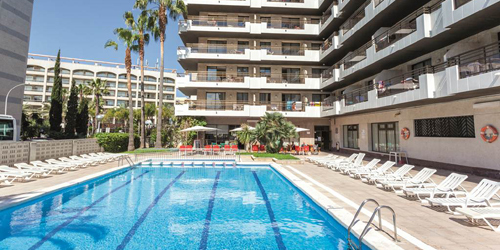 Located close to the centre of Salou, just 10 minutes walk from Port Aventura Theme Park. 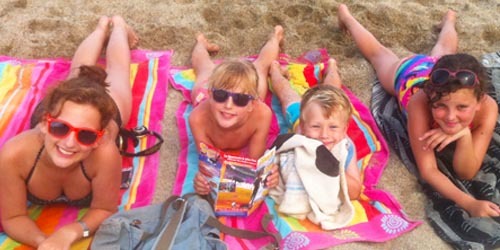 Facilities include a swimming pool, children's play area and free Wi-Fi. 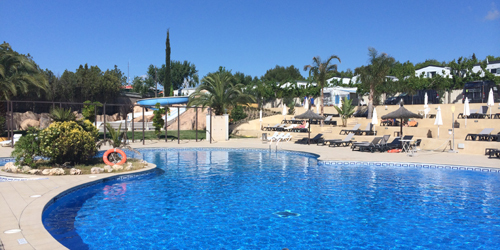 This elegant 4-Star hotel is ideally located in a quieter area of Salou, only 10 minutes walk from the beach and with a wide range of shops and bars all close at hand. 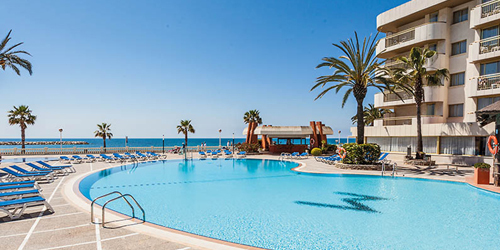 Located opposite the beach in the La Pineda area of Salou, this 4-star Hotel complex offers its guests an impressive range of facilities. This elegant 4 star hotel enjoys a prime position in the centre of Salou, close to Port Aventura. Facilities include indoor and outdoor swimming pools and free Wi-Fi. Popular Hotel located in a lively central position surrounded by a wide variety of shops and bars. Bedrooms all have satellite TV, balcony, air-conditioning (high season) and free Wi-Fi. Departure date is within eight weeks of departure therefore full payment of £818.00 is required on booking. Departure date is within eight weeks of departure therefore full payment of £830.00 is required on booking. Departure date is within eight weeks of departure therefore full payment of £1,038.00 is required on booking. Departure date is within eight weeks of departure therefore full payment of £858.00 is required on booking. Departure date is within eight weeks of departure therefore full payment of £930.00 is required on booking. Departure date is within eight weeks of departure therefore full payment of £950.00 is required on booking. Departure date is within eight weeks of departure therefore full payment of £1,338.00 is required on booking. Accom (Discounted 2nd Adult): £460.75 - SAVERSaver! Departure date is within eight weeks of departure therefore full payment of £945.75 is required on booking. Departure date is within eight weeks of departure therefore full payment of £965.75 is required on booking. Accom (Discounted 2nd Adult): £664.05 - SAVERSaver! 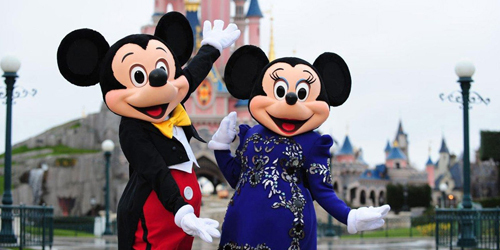 Departure date is within eight weeks of departure therefore full payment of £1,383.05 is required on booking. 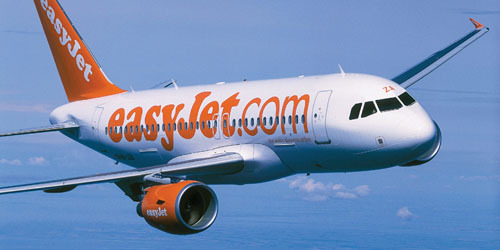 Departure date is within eight weeks of departure therefore full payment of £958.00 is required on booking. Departure date is within eight weeks of departure therefore full payment of £1,078.00 is required on booking. Departure date is within eight weeks of departure therefore full payment of £1,350.00 is required on booking. Departure date is within eight weeks of departure therefore full payment of £1,098.00 is required on booking. Departure date is within eight weeks of departure therefore full payment of £1,118.00 is required on booking. Departure date is within eight weeks of departure therefore full payment of £1,510.00 is required on booking.